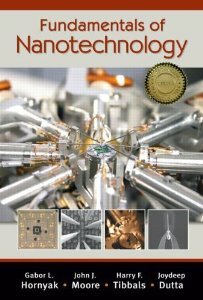 This is one of the best university level textbooks for introducing nanotechnology to students that I have seen so far. It not only covers a wide range of application topics (thin films, biomimetics, nanomagnetism, etc.) but goes into enough depth to explain fundamental concepts with authority. The illustrations and photos are plentiful, well executed and further the understanding of nanoscale systems while engaging the reader. The amount and level of math can be grasped by a sharp undergrad in one of the STEM disciplines, and there are numerous excellent reference tables in here that I have not seen in any other intro or even advanced level nanoscience books. Also, addressing business and nanoscience laboratory considerations is a subject you just don’t see discussed in other texts, and help orient the reader to how research and development relates to these oft unmentioned factors. The range of nanoscale properties that are addressed in here also highlights how interdisciplinary the field of nanotechnology is and the importance of understanding or at least knowing what roles that seemingly disparate fields such as optics, quantum mechanics, organic chemistry play in determining the behavior of a nanoscale system in such a way that novel applications can be realized. For an introductory text, I definitely prefer it to the Lindsay book reviewed elsewhere on this site. If you are a professor teaching an Intro Nanotechnology 101 class, I might recommend that you also supplement this book with Nanotechnology: Understanding Small Systems (also reviewed on this website) for the additional worked equations. Even for more advanced students and professors, this book is good as a refresher / icebreaker for details on nanoscience sub-topics that they may be less familiar with, but wish to begin investigating or remembering. This entry was posted in Nanotechnology / Nanoscience Book Reviews on January 1, 2014 by Joel-Anthony Gray.